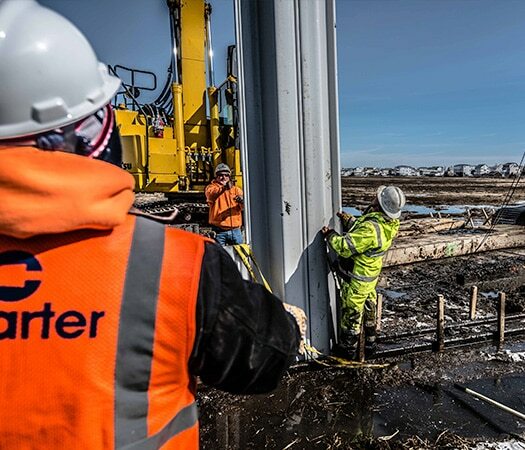 The Remedial Action performed at a Formerly Used Defense Site since acquired by the General Services Administration in Watertown, MA was executed in a manner that resembled a design-build contract, where Charter was required to achieve a final performance standard. The 13-acre parcel was the first of its kind to be transferred from Federal to Local ownership through Charter’s contract. 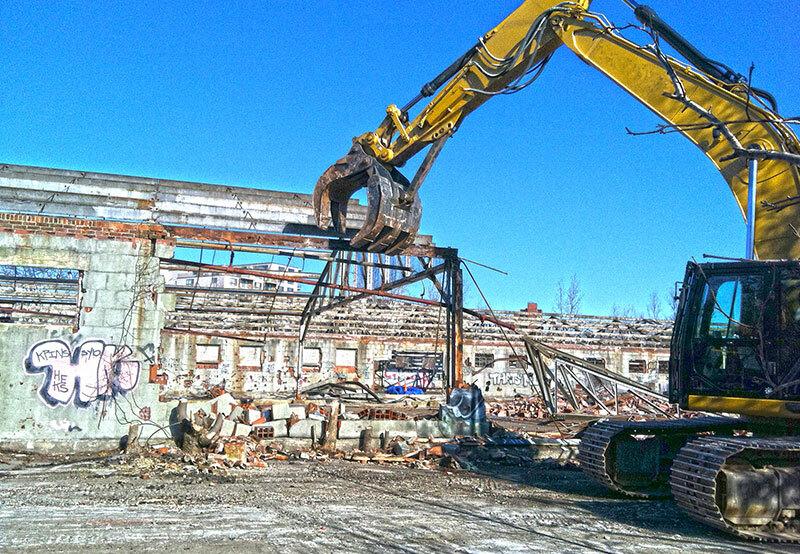 This complex land transfer took a distressed and blighted site that posed a danger to the community and created public green space in an urban Massachusetts town. The work performed included building demolition and abatement, which was performed under low level radiation protocols due to the Watertown Arsenal’s use for storing hazardous materials and burning depleted uranium, machined chips, and turnings during the Manhattan Project. 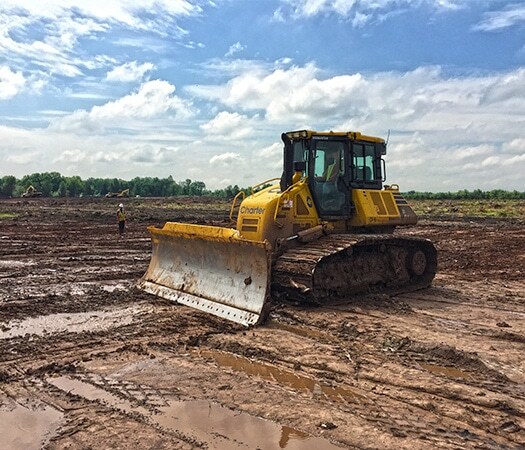 With the building down, Charter pre-characterized the site to determine the extent of the contamination, performed excavation to remove PCB removals that included TSCA-regulated waste, capping of non-TSCA waste on site, and construction of 2 acres of wetlands. 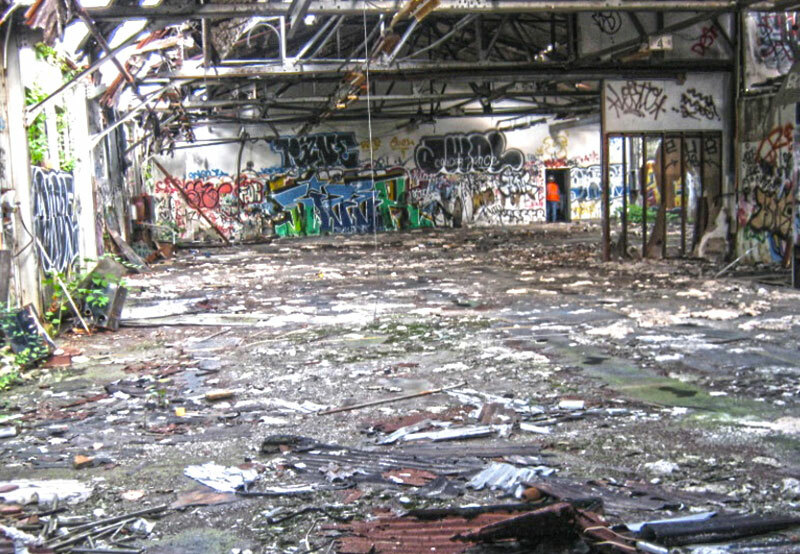 This brownfield site was part of the Watertown Arsenal, acquired by the Army in 1920 and used for storing hazardous materials and burning depleted uranium, machined chips, and turnings during the Manhattan Project. The buildings and grounds remained unoccupied, deteriorated, and highly contaminated, creating a hazard for nearby residents. Watertown is an urban area and this facility posed a danger to trespassers, and was unusable community space. After 94 years of federal ownership and 35 years of pressure from Watertown officials on behalf of their constituents, the political and financial conditions aligned to fund the project, achieve remediation goals, and return the site to DCR ownership, where it would fit into the DCR’s Charles River unit and create a greenspace corridor in the heart of the city. USACE became involved in May 1991 when the GSA Property was made eligible for remedial investigation and funding under the FUDS program. 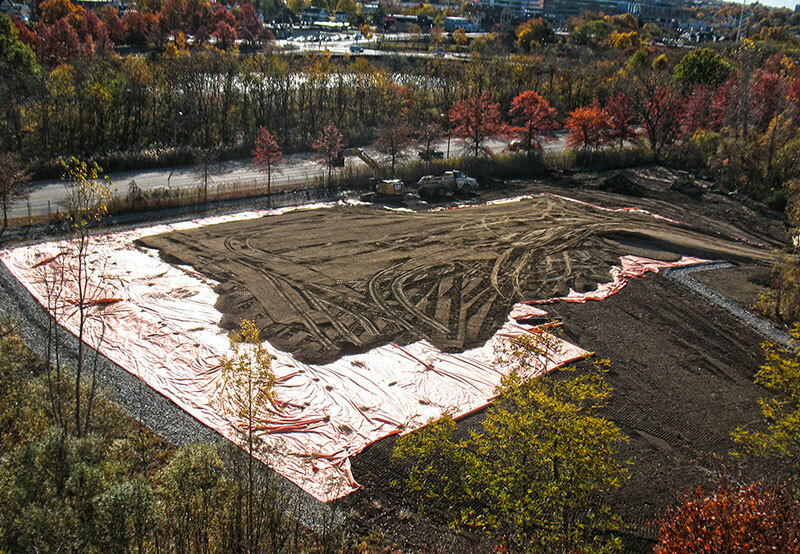 As lead agency for the cleanup, USACE worked closely with MassDEP, DCR, and GSA to ensure the site was suitable for its future use as a public park. 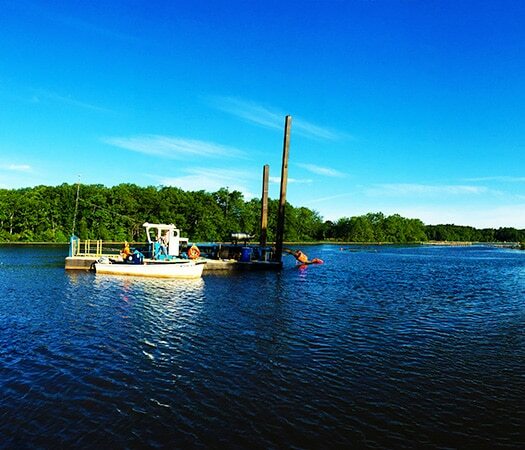 The EBC has announced their annual EBEE award winners and Charter is honored to have the GSA Property Remedial Action project in Watertown, MA receive the James D.P. Farrell Award for Brownfields Project of the Year. Charter’s Mike Gentile, Bob Johnson, and Alasdair Cunningham were recognized for their hard work in completing the Watertown GSA Property remediation. 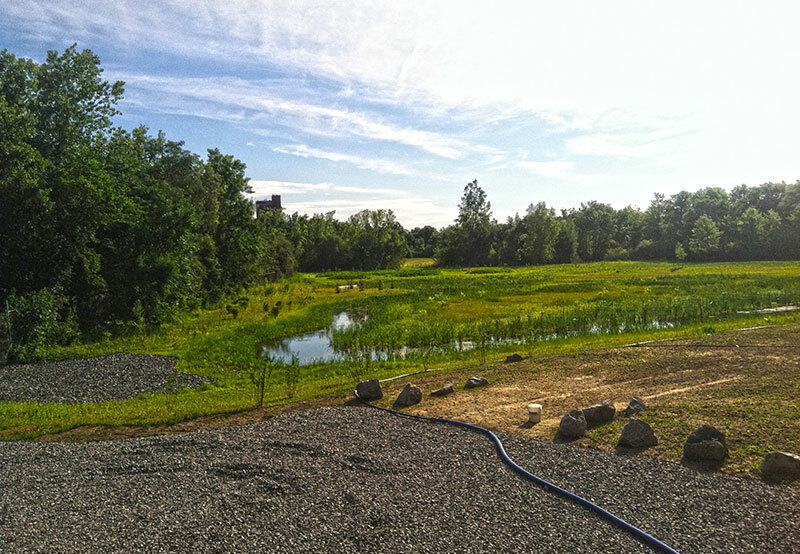 The 13 acre site was transformed from a hazardous waste site into a beautiful wetlands and usable green space for the surrounding community. Alasdair Cunningham presented to the Watertown community about the completion of Environmental Restoration at the GSA Property located in Watertown, MA. At the presentation he discussed the construction activities that had occurred at the GSA Property such as the demolition of five buildings formerly on the site, subsurface investigations, soil cover construction and wetland construction.